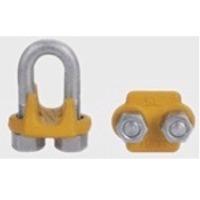 SL- 450 Front and Side View Sealinkers Clamps Each clamps has a product Identification Code for Material traceability, the name Sealinkers or SL, and a size forged into it. 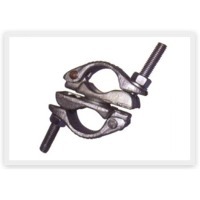 Entire Clamps are galvanized / Powder Coated to resist corrosive and rusting action. Only Genuine SL Clamps have a Yellow colour for instant recognition. All Clamps have rolled threads and extra heavy nuts. Rope Size Dimensions (mm) Min No. of Clamps Amt. of Rope to Turn Back in (cm)P (in.) (mm) A B C D E F G H 3/8 9-10 11.2 38.1 19.1 25.4 23.1 19.2 41.4 49.3 2 16.5 1/2 13 12.7 47.8 25.4 30.2 28.7 22.4 48.5 58.0 3 29.2 5/8 16 14.2 60.5 31.8 33.3 34.0 23.9 52.5 63.5 3 30.5 5/4 18-20 15.8 70.0 36.6 38.1 35.8 26.9 57.0 72.0 4 46 7/8 22 19.1 79.5 41.2 44.5 40.4 31.8 62.0 80.5 4 48 1 24-26 19.1 89.0 46.0 47.8 45.2 31.8 67.0 88.0 5 66 1 1/8 28-30 19.1 98.5 51.0 51.0 48.5 31.8 71.5 91.0 6 86 1 1/4 32-34 22.4 108 45.0 58.5 55.5 36.6 79.5 105 7 112 1 3/8 36 22.4 118 58.5 60.5 58.5 36.6 79.5 106 7 112 1 1/2 38-40 22.4 125 60.5 65.5 62.0 36.6 86.5 113 8 137 1 3/4 44-46 28.7 146 70.0 77.5 74.5 46.0 97.0 134 8 155 2 48-52 31.8 164 76.0 86.0 83.5 51.0 113 149 8 180 Note Refer to table I in following these instructions. Turn back specified amount of rope from thimble or loop. Apply first clip one base width from dead end of rope. Apply U-Bolt over dead end of wire rope - live end rests in saddle (Never Saddle a dead horse! ).Tighten nuts evenly, alternate from one nut to the other until reaching the recommended torque. China Yafeite Group Holding Co., Ltd.
Short on time? 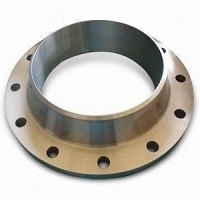 Let forgings sellers contact you. Drop forged. Alloy steel and mild steel. Suzhou Universal Metal Products Co., Ltd.
Steel forgings--shafts Material: 4130, 4140,GS45, or according to customer's material specification Delivery status:pass NDT examination. (UT, MT, DT) Maximum diameter 1200mm Maximum length 15000mm Maximum weight 25 tons. Wooden packing. Design: as to sample or drawing. All material ultrasonically tested to gb/t6402-1991(astm-a388). Fumigated pallets or wooden case. 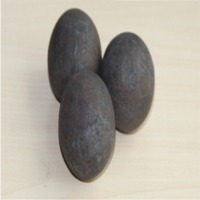 Our group company is one of the largest professional manufacturers & exporter of various kinds of castings. Investment casting, sand casting, pressure die casting, cast iron, forging, machining and much more as per the customer requirements. Stainless steel coil, steel sheet, steel plate, pipe, steel ribbon, plating aluminum, carbon steel, cold rolled stainless steel coil, fittings, galvanized steel sheet, cast iron plate, perforated strainer, steel wire rope, casting grinding ball, steel wire, auto parts, oriented electrical steel, steel strand, automotive steel, no oriented electrical steel, electric power industry in pressure vessels and pipes, industrial wire, transformer, coil plate, steel structure, capacitor, galvanized plate, machinery and equipment, electric power facilities, switch, transformer bushing, special stainless and nickel alloy plate, valves, plumbing products, compressors, cathode plates, waterproof lock button, motor, fasteners, manhole covers and grates, castings, steel pipe, clutch brake, gear, bracket, drum, knuckle, fly wheel, clamp. Jiangyin Fangyuan Ringlike Forging & Flange Co., Ltd.
1.Material:carbon steel, alloy steel or stainless steel like-. 2.Dimession: 3.Weight rang:2kg-9000kg 4.Moq:1pcs 5.Packing:seawothy packing like wooden case, iron pallet or customer¨º¨¨s order. 6.Heat treatment:normalizing, annealing and , q+t, customer¨º¨¨s order is welcomed. 7.Port of shipment:zhangjiagang or shanghai, china 8.Payment:l/c, t/t, exw 9.Certificated:ship classification society authentication(ccs, nv, lr, abs, bv, gl, nk, kr, rina, dnv, tuv) 10.Delivery time:20-40 days. Packing:seawothy packing like wooden case, iron pallet or customer¨º¨¨s order. * Cold pressing * Hommer ( 5 section, 6 section) * Shaving. * Hot pressing * Hot hammering.